The Himachal Pradesh state government has announced the launch of a new scheme for the students of the state. 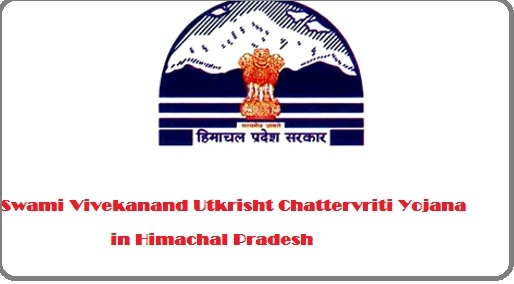 The scheme is termed as Swami Vivekanand Utkrisht Chattervriti Yajana. Under the new scheme launched by the government in the state it is certain that the government aims at improving and motivating local students to pursue higher education in the state. The new scheme launched is open for registration latest by September 30th 2017 online and manually till October 8th 2017. It is certain that the new scheme launched will be directly supervised by the state government officials and DDHE’s. Interested candidates can log on officially on http://hpepass.cgg.gov.in/NewHomePage.do or email ID hp@hp.gov.in. Candidates can contact via Phone number 0177-2652579 or 91-9418110840.You can contact directly to Mr. M.S.Negi (Scholarships officer – Nodal and Higher education), State government of Himachal Pradesh. The state government of Himachal Pradesh has introduced the new scheme as Fee incentive yojana for each and every student of the state belonging to general class from the society. It is also certain that the scheme will offer benefit to any student of the state who is presently pursuing education at school level within various schools in the state. Under the new scheme the benefit shall be offered in the form of incentive offered as scholarship to students who have managed to complete the SSC level of education (10th grade) with passing marks and are now willing to take admission for completing their higher level of education. Under the new scheme it is certain that the state government shall make a selection of over 2000 students from various schools (Both private and government sectors) from within the state who have managed to score meritorious marks in the state board exams. The selection shall be made on the basis of the meritorious list issued by the Himachal Pradesh educational board exams committee for 10th grade students. The state government has also made it very clear that the benefit can only be availed by the schools that are recognized under the state government ministry of education department. Under the new scheme launched it is certain that the state government aims at offering with required financial assistance so students who are willing can get a chance to complete their higher level of education without disruption due to financial crises in the family. To further motivate the student for higher education the state government has announced a scholarship amount of Rs 10000 on yearly basis to be offered to 2000 selected students who have managed to score meritorious marks in the states board exams this academic year 2017. The state government has also announced that the students who get the scholarship for the first year can also reapply for the renewal of scholarship amount for the second year of higher education depending on the marks scored in the first year examination. As the scheme has been launched by the state government of Himachal Pradesh so it is certain that to be eligible for registering under the scholarship scheme the student has to be a citizen of the state by birth. He or she may have to provide with proof of residence-ship when applying. The state government has already announced that the scheme launched will be offering benefit to outstanding students of HP board exams so it is certain that to get the benefit under the scheme the student should have scored over 77 percent marks on an average in his 10th grade state board exams. To get full benefit under the scheme it is certain that the student should not have applied for any other form of scholarship program in any of the Indian government’s schemes. Any student who has managed to get admission in any of the listed institute for opting Diploma or Post matric certification is also eligible to get the benefit under the scheme. Students who are aiming to get the benefit under the scheme for 12th grade will only be able to register under the scheme for renewal of their scholarship fee if they manage to score good marks in 11th grade exams. The benefit will also be offered to students who belong to the state and are presently studying for professional or technical course within or outside the state jurisdictions. Photographs– To get registered under the scheme it is certain that the student will have to provide with clear and latest passport sized photograph along with the form. Identification ID – Under this document the student is expected to provide with a valid copy of his or her Aadhar card. Citizen certificate – As the scheme is valid for Himachal Pradesh students so it is certain the candidate will have to provide with a copy of their birth certificate issued by Municipal Corporation of HP or Bonafide certificate copy proving his state of domicile. Pass certificate – The student will also have to provide with a certified copy of their previous years school passing certificate result. Caste category certificate – The student will also have to provide with a certified copy of their general caste category that has been certified and issued by government official who is either Tehsildar or of above rank. Bank statements – It is also obvious that the student will have to provide with complete details of their bank accounts statements reflecting current years bank transaction details. Income proof – It is certain that the student will also have to provide with family income proof including BPL or IRDP certification. University fee details – The student has to provide with complete fee structure for the university or institute for which he or she has applied for higher education. Fee Receipt – If the student has already made the payment of fee regularly then it is certain that he or she may have to provide with details of the receipts for fee payment done. Selection letter – The student has to submit a copy of the letter that reflects his or her name that he or she has been selected amongst the list of 2000 students from the state. To get registered under the scheme online it is certain that the candidate will first have to visit the official website from the web browser. On the home page you have to look around for Students login tab and then click it. You shall have to provide with few information that needs to be filled in. Once the information has been provided by you then you shall be provided with your Login ID and Password details. You now have to log in officially using the ID and PW provided. You shall now be redirected towards application form page. Now you will have to fill in all the details requested on the form and at the same time you will have to upload a copy of your photograph in the JPG format. Once all details have been provided you can now take a printout of the application form and then submit the same to your institute or school along with all documents. The moment you have collected a hard copy of the application form for scholarship the student is expected to submit a printout format along with all valid documents to the Head of school or institution. The heads shall be responsible for retaining a copy of the application form in the respective institution or school. The head will then be responsible for forwarding an attested copy of the same after verification online attached along with the selected students list to the respective DDHE for private and government registered school. In case of Technical or professional institute the copy will be forwarded to Directorate of the institute for being verified online. Once verified then a copy of the form shall be retained in the institute and all other forms shall be submitted back to the respective schools. A copy will also be forwarded to the District Directorate along with the complete candidate list. If any candidate wants to submit the application form offline then he can take a printout of the form and fill in all details and then submit the form to the Institute Head or DDHE. The Head or DDHE will then redirect the form to the respective institute or school and guide the student to help him fill the form online and to submit the application form via the right channel. It is certain that with the implementation of the new scholarship scheme in the state for meritorious students the state government aims at motivating the student to complete their higher level education with an aim to improve the literacy rate of the state. At the same time the state government wants to ensure that deserving candidates get the right to complete their primary and secondary education so they can achieve their goal in life.